The 11th Forum "Historical Consciousness and Peace in East Asia"
The Forum "Historical Consciousness and Peace in East Asia" serves to deepen the Sino-Japanese Dialogue on history and considers European experiences with postwar reconciliation. Open Symposium on the topic "On The Way to a Economical Integration in Eastern Asia"
International Symposium "Global Energy Policy at a Crossroad"
During this symposium, experts from Japan, Germany, the United States, China and Hong Kong discuss issues related to renewable energy technology and the global future of energy policy. Round-table "Finance system in Germany and the world - challenges and perspectives"
Lecture "Energy policy in Germany - nuclear power phase-out and economic growth"
Lecture by Dr. Sven Saaler, Representative of Friedrich-Ebert-Stiftung in Tokyo, on energy policy in Germany and Japan. International Symposium "China's Role in Asia - Research Approaches in Germany and Japan"
How to deal with a rising China? Experts from Japan and Germany discuss issues of international relations and global society. Sven Saaler, FES Japan Representative, gave a lecture on Japanese efforts to come to terms with its history after World War II to the delegation of “Arbeit und Leben”, a German institution for political education. Symposium: "Japan & Germany: What do we learn from the nuclear accident in Fukushima?" One thing that became painfully evident through the nuclear accident on March 11th 2011 is that nuclear technology cannot be controlled by human beings. We have to ask ourselves: what choices do we have for our future? International Symposium: "Declining birthrate and aging population in Germany and Japan"
The demographic change in Japan and Germany has become a serious challenge for the societies of both countries: Child poverty, the aging of the population and a shrinking labor force weigh heavily on the health and social incurance systems of both nations. On this Symposium we discussed how a country facing financial hardships can stabilize social security. 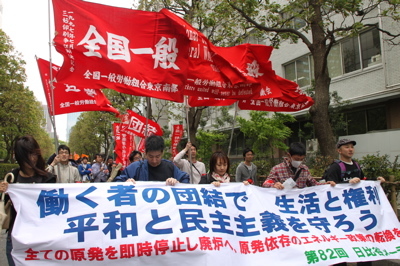 The organisational sophistication of Japanese trade unions has been in notable decline since the 1960s. Especially the growing number of workers in precarious employment is hardly organised in unions. This paper analyses legislation that affects trade unions, as well as organisational patterns on the firm- and sector-/national-level. 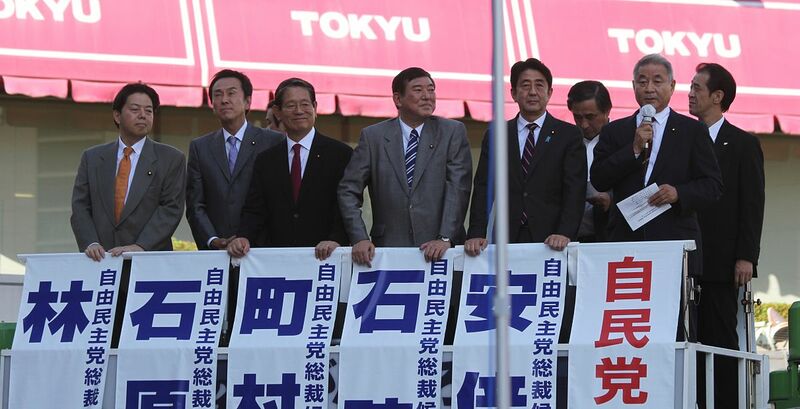 Prime Minister Noda was confirmed as chairman of governing party DPJ in September 2012, however he faces continuing resistance from parts of his own party as well as the opposition. Shinzo Abe from the Liberal-Democratic Party (LDP) was re-elected to this post as chairman after resigning from the position five years ago. He has been emphasizing in regard to territorial conflicts with China and South Korea, the necessity to defend Japan's territory. It seems that the opposition will continue to push for a timely dissolution of the lower chamber and new elections. 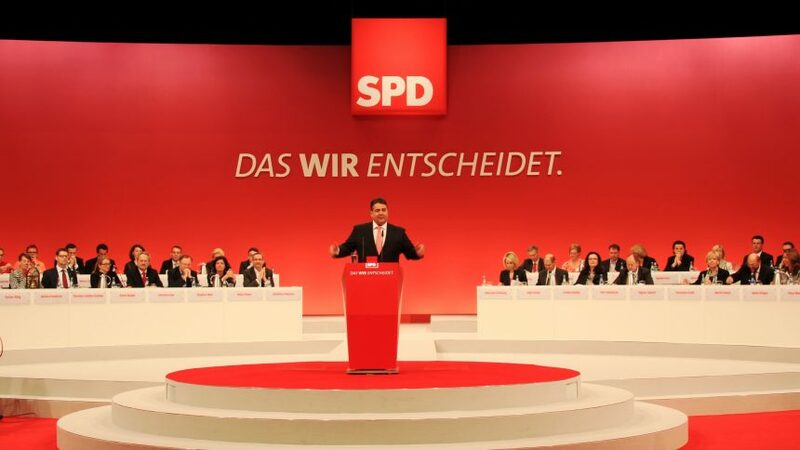 Japanese translation of Statement by SPD-Troika: "Finding a way out of the crisis – growth and employment in Europe"
The economic and social costs of narrowly austerity-focused policy-making, i.e. of a singular focusing on budgetary discipline, are highly destructive – indeed, they threaten European unity. This is evident in the observation that in the past two years, the European crisis has not calmed down, but rather intensified. Moreover, the credit risks that Germany is backing have not declined but instead risen massively.